European consumers will be able to reap the full benefits of paying online for goods and services, thanks to the entry into force of the Payment Services Directive (PSD2) which will apply new rules making it cheaper, easier and safer to make electronic payments. The revised Payment Services Directive, otherwise known as PSD2, will apply from 13 January 2018 and aims to modernise Europe’s payment services to the benefit of both consumers and businesses, so as to keep pace with this rapidly evolving market. What changes will the Payment Services Directive (PSD2) bring about? Enhance consumers’ rights in numerous areas. These include reducing the liability for non-authorised payments and introducing an unconditional (“no questions asked”) refund right for direct debits in euro. These rules will be applicable as of 13 January 2018 through provisions that Member States have introduced in their national laws in compliance with the EU legislation. The Commission calls on Member States who have not yet transposed the Directive, to do so as a matter of urgency. 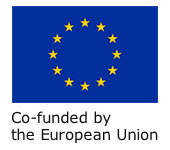 The revised Payment Services Directive (PSD2, Directive 2015/2366/EU), proposed by the European Commission in July 2013 and agreed by co-legislators in 2015, is the latest in a series of laws adopted by the EU in order to provide for modern, efficient and cheap payment services and to enhance protection for European consumers and businesses. It incorporates and repeals Directive 2007/64/EC (Payment Services Directive, or PSD1), which provided the legal basis for the creation of an EU-wide single market for payment services. The revised Directive adapts the rules to cater for emerging and innovative payment services, including internet and mobile payments, while at the same time ensuring a more secure environment for consumers.